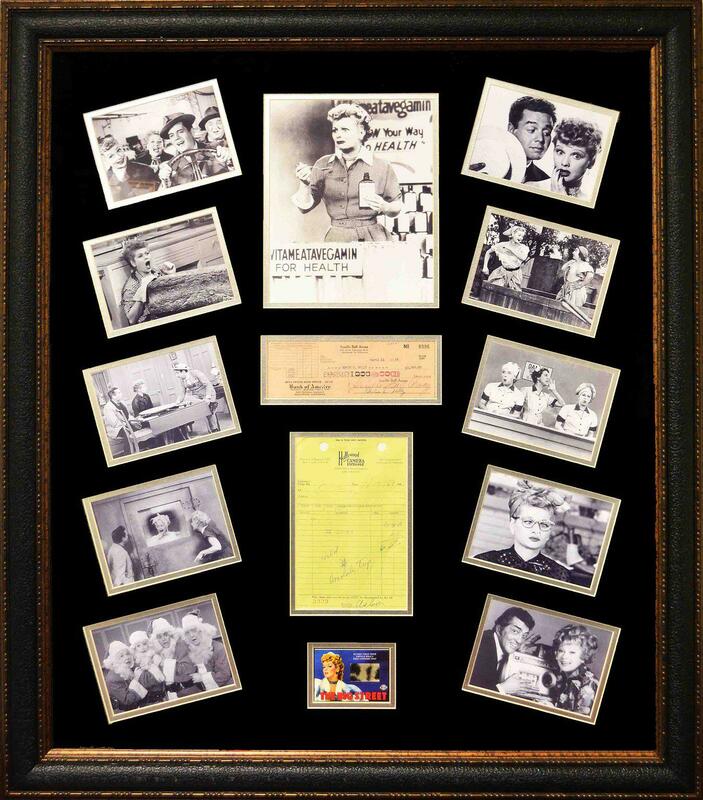 12 images of Lucille Ball with a signed Arnaz Bank of America check and Hollywoord Camera Exchange receipt. Custom framed. Measurements: 34 x 39 inches.